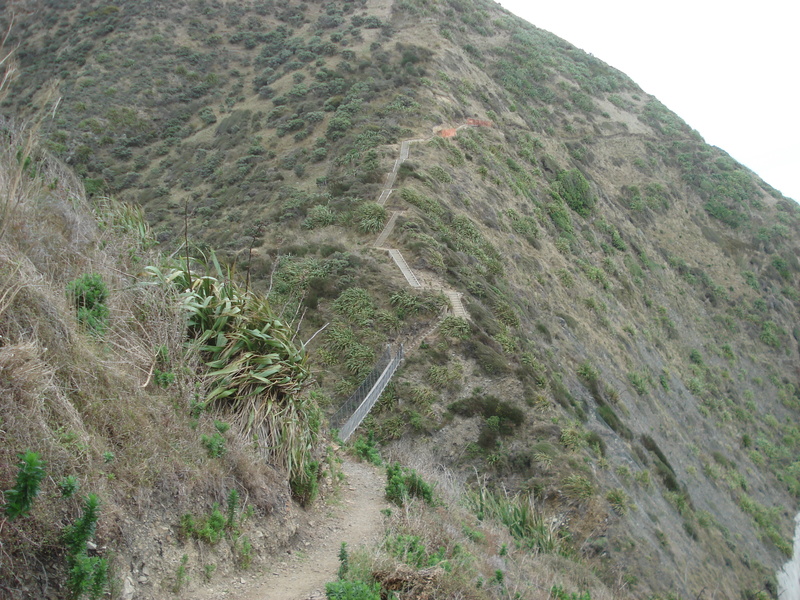 The Paekakariki Escarpment track is now open. 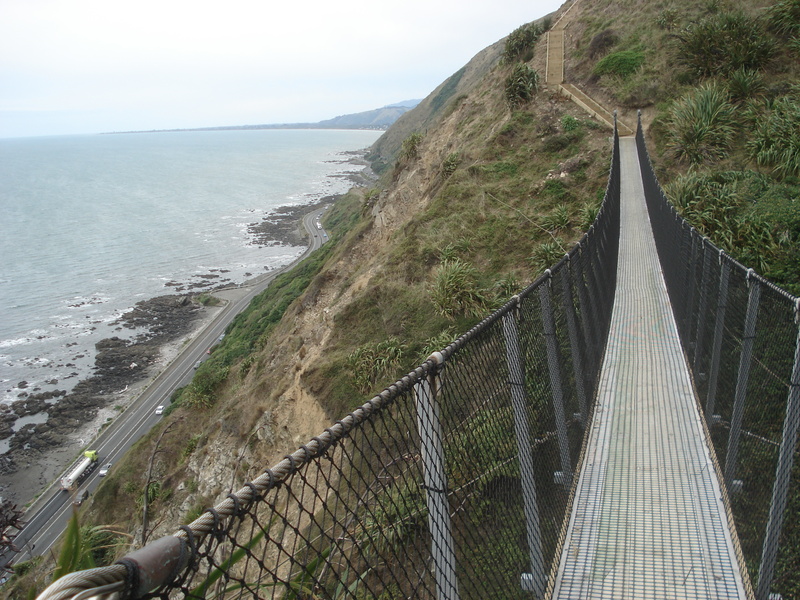 It is part of the Te Araroa walkway. 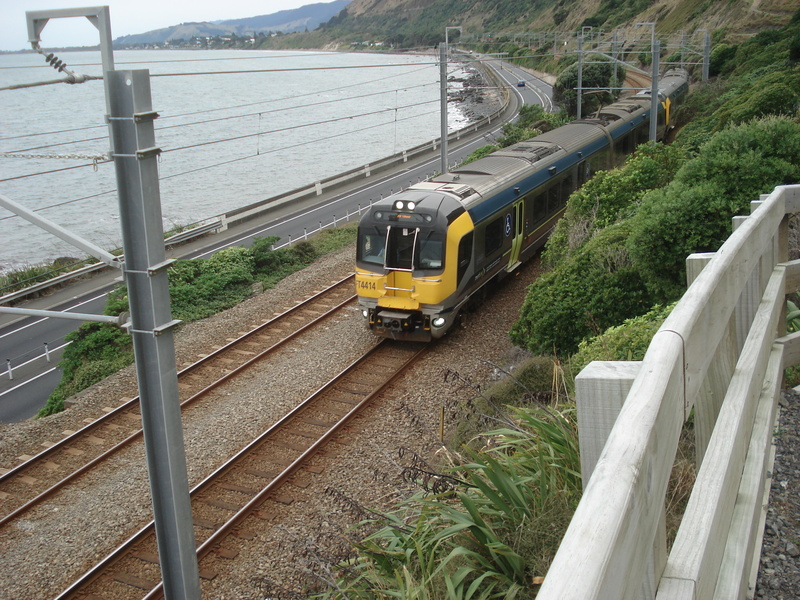 The track is from Paekakariki Station to Pukerua Bay Station. There are car parks available at both railway stations. You can either arrive at the Stations by using Public Transport or using your own transport and parking at one of the stations. At Paekakariki do not park in Ames Street and there is a 2 hour time limit on parking in Paekakariki Village itself. Park at one station, walk the track to the other station and catch a train back to your car. 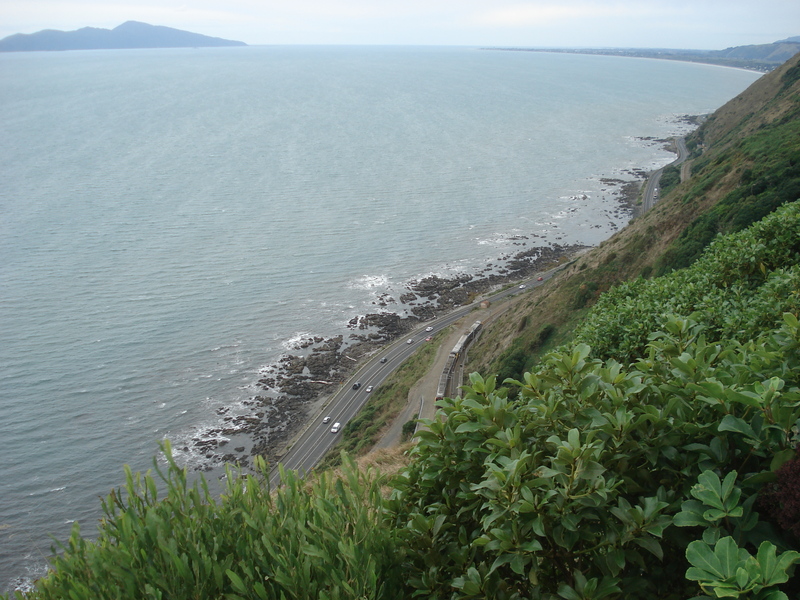 From Paekakariki Station car park, walk along the platform to beach road crossing, then beside SH1 on the footpath until the road overbridge, using the stairs go under the bridge and you are now on the track proper. You do not need to cross SH1. A short way along the gravel track there is a Kohekohe loop walk Kohekohe Loop Track leading up the hill. The first section is relatively flat following the railway line. The track has a solid gravel base and good wooden bridges. 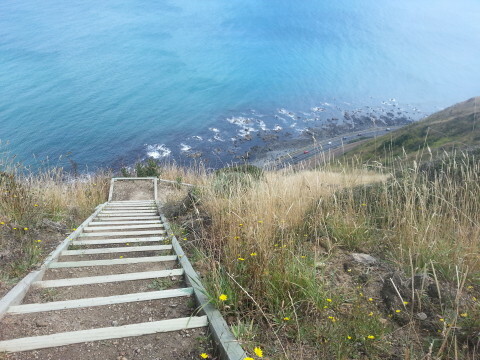 Then there is quite a steep 200 metre climb with many steps, before the track starts going along the ridge. There is no access to farmland higher up. There is a lookout point, then the track starts to descend with more steps (both down and up), and there are two swing bridges (max load of 5 persons) on the way out to Muri station. 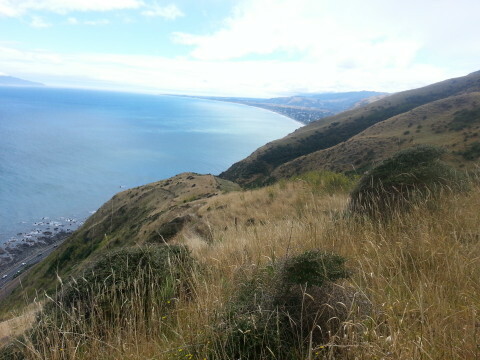 There are a couple of small sections of cool bush along the route, and excellent views of Pukerua Bay. 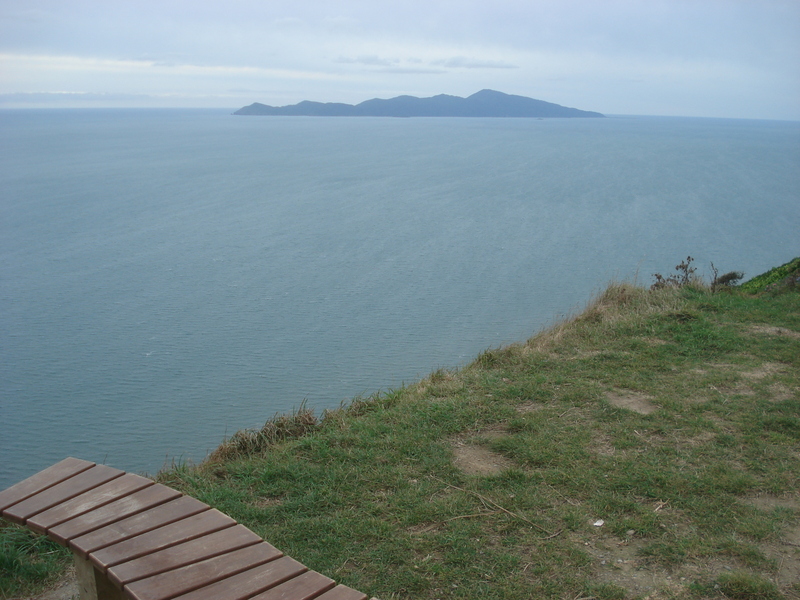 Walk along the closed Muri station platform and go up through Muri Park and onto Sea Vista Drive, cutting through the walkway to Pukerua Bay Railway Station. The signs state 3 - 4 hours for the one way trip, but most fit people will complete the walk in about 2 hours. It is about 10 km from railway station to railway station, and there are iron kilometre markers along the way. 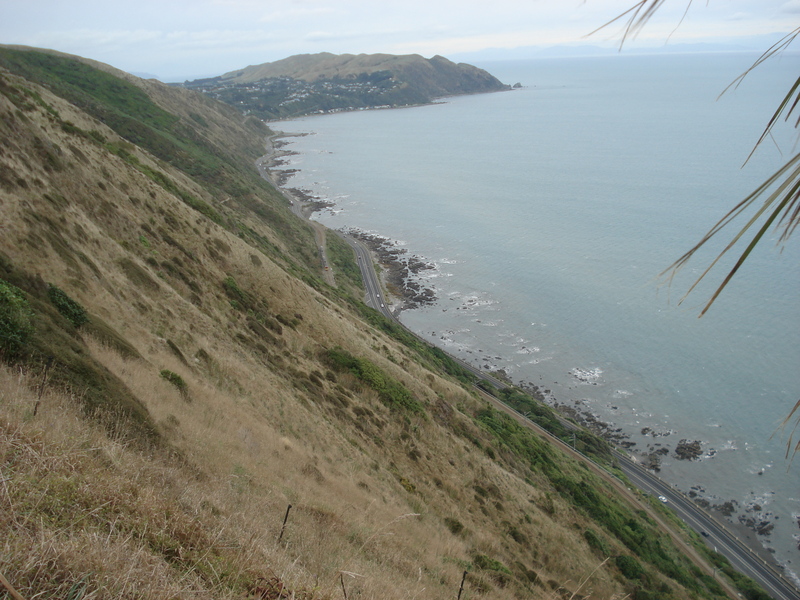 The nearest convenient parking area is at Paekakariki Station at the Paekakariki end, or at Pukerua railway station at the Pukerua Bay end. Walk the track then take a train back to your starting point. Note there is no eftpos available onboard the trains - cash fares only.